So I recently purchased the Revlon - Nearly Naked liquid foundation. In shade - 170 natural beige. 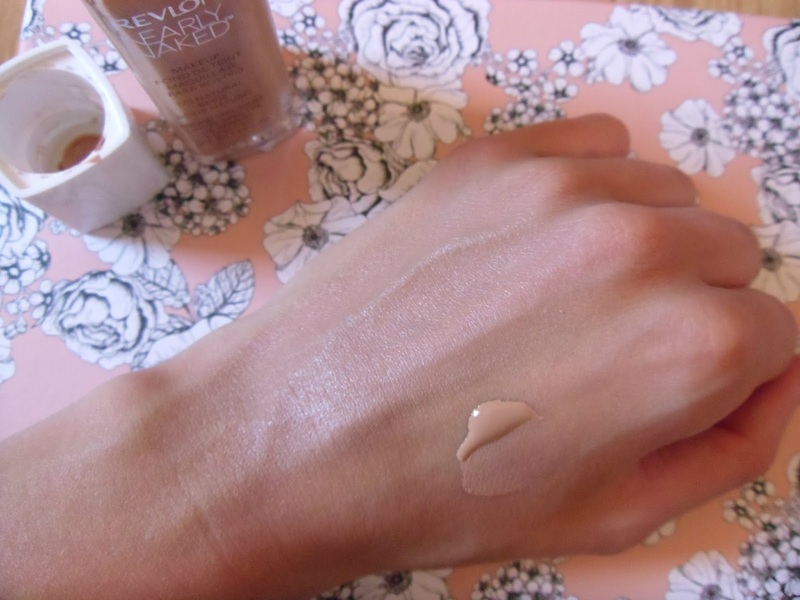 So I decided to try out this foundation as a lot of beauty bloggers had raved about this foundation and was comparing it to the NARS - Sheer Glow. As I've been unhappy with the foundation I've been using recently I thought ahh what the heck. I'll never be happy if I don't try out some new ones. I'm a girl that LOVES/NEEDS full coverage! This foundation so a light/medium coverage in my eyes. When I get spots (pimples) I easily scar or receive darker blemishes on my skin from them. So I need something that's going to cover up those horrible marks. This was a disappointment to see there was no pump on the foundation. 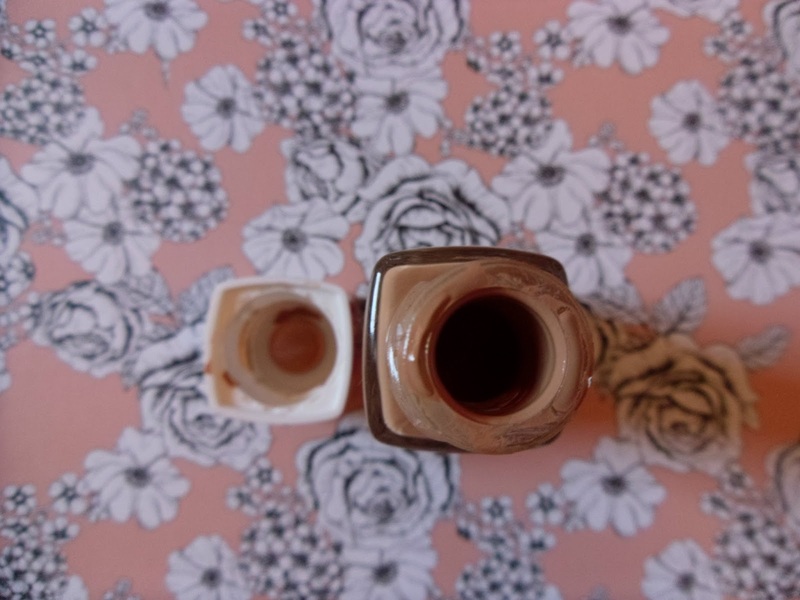 I find these kind of foundation's really messy and you waste so much of the product when it accidentally fall's out. Here's a swatch above of the foundation and then to the left hand side of the blob is the foundation blended in. This foundation doesn't suit me at all. It matches my skin tone but I think I should of looked further into the product before buying it. I would recommend this product to someone who has clear skin or very little blemishes and discolouration on their face. As it is really light and does look 'NEARLY NAKED' I don't know why I didn't realise this, especially with the name haha! Have you tried this product? 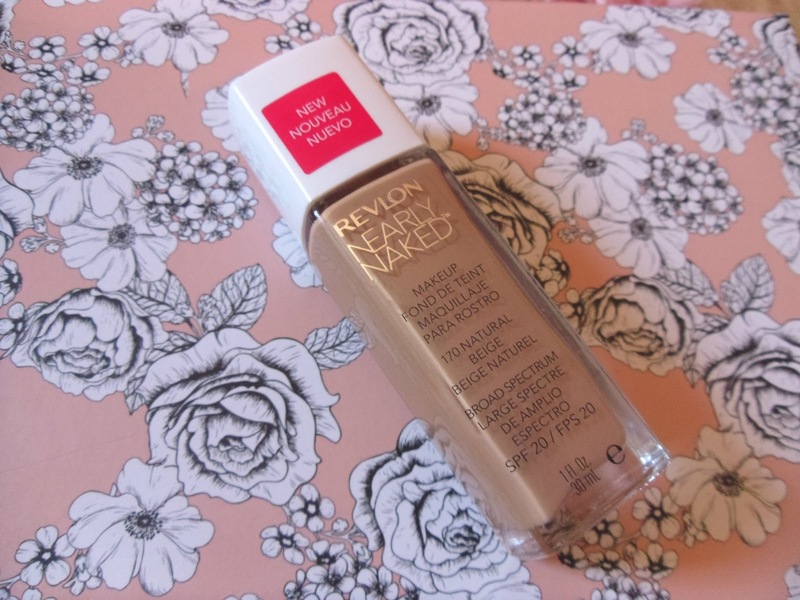 I've heard really good reviews about the Revlon - Wake me up foundation too, has anyone tried it? What do you use that has full coverage? I'm using the L'Oreal Infallible at the moment but I picked up the wrong shade, the coverage is brilliant and feel's really light on your face.